who sent me the following testimonials. "If you have a repair or update that you need completed yesterday, Ed's your man. Although very busy, he still answers his phone and finds time to squeeze in important service calls on short notice when necessary. He has a timely no-nonsense approach that quickly tells you what the problem is and what needs to be done so that you know exactly what will be required, how long it will take and about how much it will cost. The quality of his work is very good, his prices are fair and he returns quickly if something wasn't done to your satisfaction. I highly recommend Ed for any electrical work or evaluation you need completed!"" 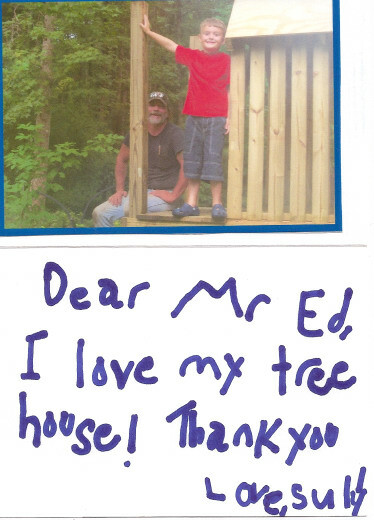 "When I met Ed he was working nextdoor to a rental property of mine. I was having a plumbing problem and was getting nowhere with the solution. I walked over and asked if he could help. He came over, fixed the problem and charged me almost nothing. Since then I have used him for large and small repairs, electrical, plumbing and heating. The repairs have been in my home as well as my rental properties. He has always been quick to respond and I have never felt that he was trying to "rip me off". I recommend him and his work highly." "I would like to praise Ed Drutjons for another "job well done!" Ed is an exceptional contractor and I highly recommend him! As a Realtor, I have worked with Ed on a few occasions and he has consistently proven himself to be professional, dependable, and an expert in his trade. It is difficult to find a contractor with such focus, but you can rest assured that Ed will stick with you until the job is completed and the parties are satisfied. I applaud Ed for not only being a competent contractor, but also because he builds "relationships" and it is plain to see that he is committed to quality work on each project. Thanks Ed for all you do!!!" "a great little real estate company"
"Years ago, my first listing had damage in the attic that had to be repaired. I wasn’t told about the damage until two days before closing. Ed was recommended to me by another agent and thanks to him we were able to close the house on time! His prices and his work are always great!! I’ve had several homes that I’ve had to have repaired since and I always call Ed. I never bother getting estimates because I know his prices and his work are the best!! Thanks to him I never get stressed when I hear the word “damage” from an inspector or termite technician!!" and his work is impeccable. All this at a very competitive price. Ed really takes pride in his work and it shows." "I have always found Ed to be diligent in his work and fair in his prices." "Ed has done several projects for me. From repairing rotted wood in my roof and doors to tile work. He has also been a great source of knowledge when considering improvements and I always get a straight and honest answer from him."